Nelson, Wilbur A. "America's Evolution Trial." 25 pp. 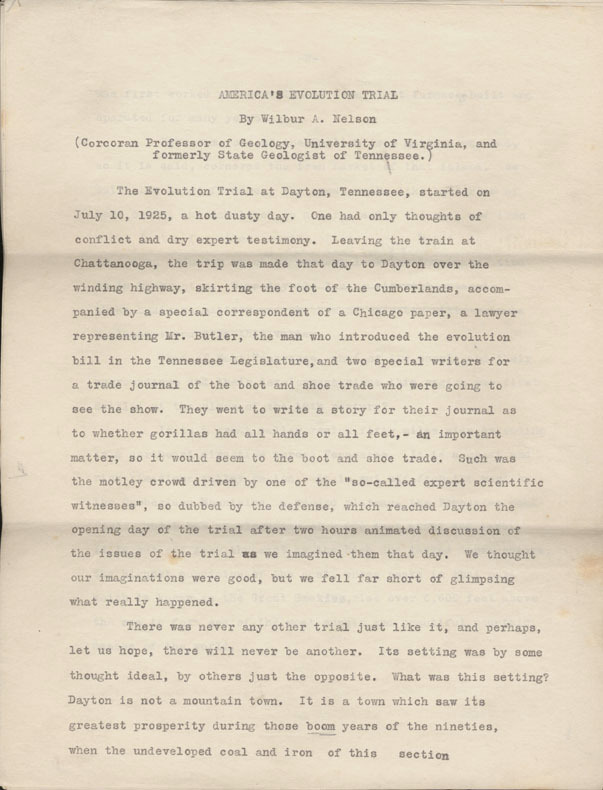 From the Papers of Wilbur Armistead Nelson. 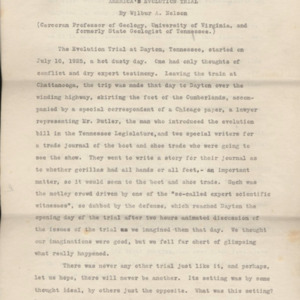 “Evolution Trial,” University of Virginia Library Online Exhibits, accessed April 26, 2019, https://explore.lib.virginia.edu/items/show/624.